1ST PRESSING IN TOP CONDITION ! ALL RECORDS ARE PROFESSIONALLY CLEANED USING A VPI TYPHOON RECORD CLEANING MACHINE AND PLACED IN NEW ANTI-STATIC INNER SLEEVES ........ THE ORIGINAL SLEEVES WILL ALWAYS BE INCLUDED IF PRESENT ........ HIGHLY EXPERIENCED AND PROFESSIONAL PACKAGING IS ASSURED FOR ALL SALES........ POSTAGE CAN ALWAYS BE COMBINED IF BUYING NUMEROUS ITEMS, PLEASE WAIT FOR INVOICE ..........THANK YOU. THE VINYL IS IN NEAR MINT TO MINT- CONDITION THERE ARE NO SCRATCHES OR SCUFFS AND CLEARLY NOT PLAYED MUCH IF AT ALL !!! !UNDER EXTREME BRIGHT LIGHT, YOU MAY FIND ONE OR TWO EXTREMELY LIGHT HAIRLINES, BUT I COULD NOT !SUPERB GLOSSY JUST PRESSED SHINE AND A REAL RARITY ! PLAYS NEAR MINT TO MINT- THROUGH-OUT BOTH SIDES A STUNNING TOP PSYCH PLAYER NOT TO BE MISSED !SUPER SILENT RUN-INS AND IN~BETWEEN TRACKS !THERE ARE NO SKIPS, JUMPS, CLICKS, POPS, CRACKLE OR STATIC !AS NEAR TO PERFECT AS YOU COULD WISH TO FIND AND PLAYS AS ANY NEW DISC ! THE CENTER LABELS ARE IN MINT- CONDITION. THE COVER IS IN VERY GOOD+ CONDITIONWITH ONLY A FEW, TINY CREASES, THIS IS A SUPERB 1971 COVER !NICE SPINE AND EDGES ...... ALL REALLY CLEAN !THERE ARE NO SEAM SPLITS OR WRITING .... SOME VERY LIGHT EDGE AND CORNER WEARSMALL PAPER REMOVAL (PIC 7) OTHERWISE WOULD EASILY GRADE EXCELLENT !PLEASE SEE ALL PICS ! 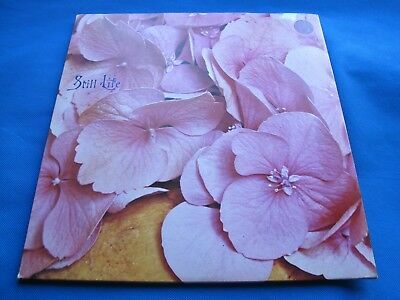 A SUPERB & RARE PSYCHEDELIC UK LP ! ANY QUESTIONS WELCOMED ...... ALL RECORDS ARE GRADED AS PER The UK Rare Record Price Guide Grading SYSTEMALL RECORDS ARE VPI TYPHOON CLEANED AND PLACED IN ANTI STATIC INNER SLEEVES.HIGHLY EXPERIENCED AND PROFESSIONAL PACKAGING IS ASSURED FOR ALL SALES.